Giclée printing is a type of inkjet printing – but far from your typical desktop inkjet printer. Giclée printing produces a product of a much higher quality and with a longer lifespan than a standard desktop inkjet printer. 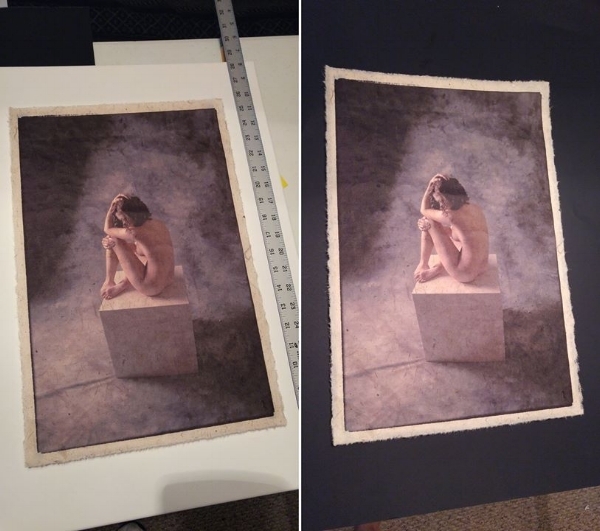 These prints are printed at a very high resolution on a large format professional grade printer, using archival pigment inks (in this case, Canon LUCIA EX pigment-based inks), and printed on an acid-free art paper medium. My Giclée prints are printed using a large format Canon printer, utilizing 8 seperate inks, to ensure the very best color and tonal range. What makes my print process really different is the paper. I print these images on unbleached Japanese Mulberry paper. This is a very fine, very thin paper with a cloth-like texture. It makes for some very beautiful and unique artwork!